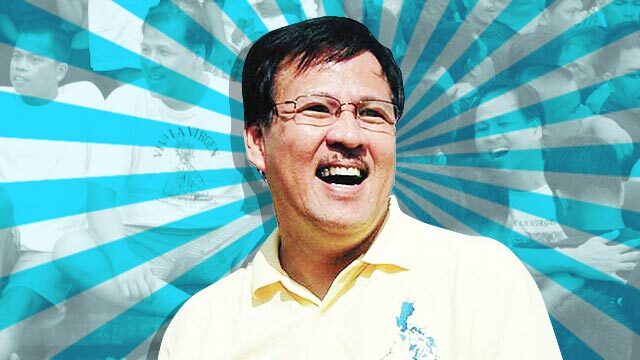 It's been three years since the untimely and unfortunate demise of Jesse Robredo yet people still remember him for his commendable work as former Naga City Mayor and Department of Interior and Local Government (DILG) Secretary. Aside from transforming that part of Bicolandia into what it is now, Robredo continued to exhibit good governance and active community immersion during his DILG tenure, as proven by countless testimonials from his constituents. Truly, the man was one of a rare breed of public officials who performed with honesty and went beyond what their job titles require. And to celebrate the life of one great public official, FHM lists down three qualities Robredo displayed while he was still alive which we wish the hopefuls of the 2016 Elections will draw inspiration from. A thought that easily comes to mind when the name Jesse Robredo is mentioned is his penchant to wear the modest sandals. And while the press it has received ironically defeats its purpose, the tsinelas leadership's demonstration of humility and connection with the common people is undeniable. Through the Naga City website, Robredo reportedly disclosed his city's financial documents, making him one of the first mayors to practice—and not just preach—transparency. He was said to have brought the same reform when he took over the DILG, again through its online medium, though not without opposition from a few sectors. Robredo's logic, as told to Philipine Center for Investigative Journalism: "The kind of governance culture we would like to promote is a process wherein the governors engage with the governed. And the only way to do that is if the governed are informed—so this would be an informed engagement." Even his wife, Camarines Sur Representative Leni Robredo, filed her own Full Disclosure Bill, which is quite the same with that of her husband's, only this time on a national level. So, why is the Freedom Of Information Bill still hanging?